You’re ready to build a custom home but may not know how to get started on the process. The most important early decision you need to make is selecting your custom home builder. Not all custom home builders are created equal and choosing poorly can create a huge headache down the road. The following are the top seven things not to do when hiring a custom home builder. Many building companies create misleading advertisements as a way to attract new clients. 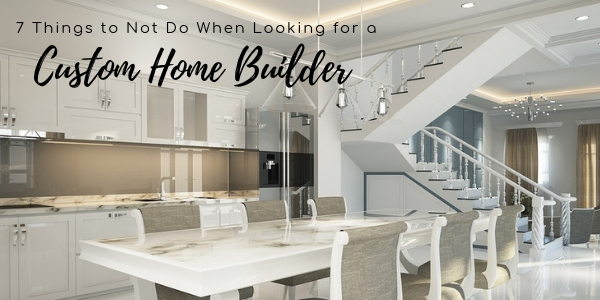 Marketing materials may make claims like “Build a brand-new custom home for less than $100 per square foot!” Transparency is absolutely paramount when choosing a builder. Builders relying on these types of ads are only looking to secure a contract and then reveal the significant difference between their projected and actual pricing. Every custom home is completely original with unique features and floor plans. For instance, a 2500 square foot home with 3.5 baths will have a higher price tag than a 2500 square foot home with 2.5 baths. A single-story ranch will not have the same cost structure as a two-story colonial. Inclusions such as larger kitchens, expanded garages, and finished basements will create variables in final costs. Experience will always matter the most. Builder references offer the opportunity to view past projects and inquire about the level of service quality received. Custom home builders providing a couple of names for you to use as references are a red flag. If they are using the same two or three names over and over again for client referrals, builders aren’t providing the means to research the company thoroughly. Look for a custom builder who is able to provide page after page of client references. When contacting references, choose questions that will help get the conversation going. You don’t want straightforward yes or no answers to your questions about how they liked working with the builder. Custom homes are a significant investment and you need to know more than simply if the client was happy with the builder. Ask questions about topics such as punctuality, cleanliness, communication styles, and post-construction support. Find a builder with a team you can envision working with on a long-term basis. Projects from planning stages to post-construction support can take place over a year. During that time you want to feel comfortable with the builder and feel as though the builder is listening to your vision for the project. If you like the builder and feel the person is trustworthy, you will enjoy the building process without the worry you’re being cheated. Nothing is more frustrating than not hearing back from your custom home builder. If you’re waiting for long periods of time for responses, then the builder isn’t likely a good fit. Builders should be available through their cell phone numbers and not require you to leave messages through a receptionist or answering service. You will prefer choosing a company that has you working with the same contact through the entire process. The contact should be managerial level or higher to ensure you are communicating with someone with the authority to address your needs directly. Experienced custom home builders have seen and heard it all. Many clients make the conscious decision not to disclose everything they want for their new homes upfront. They are under the mistaken impression that if a feature is not listed in the contract, they don’t have to pay for the inclusion. Don’t use sneaky tactics to try and reduce the price. 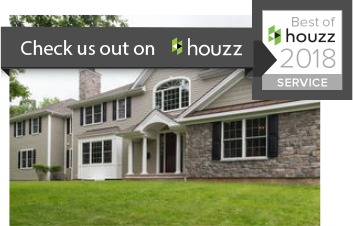 Revealing all details upfront saves you and your builder time and money.